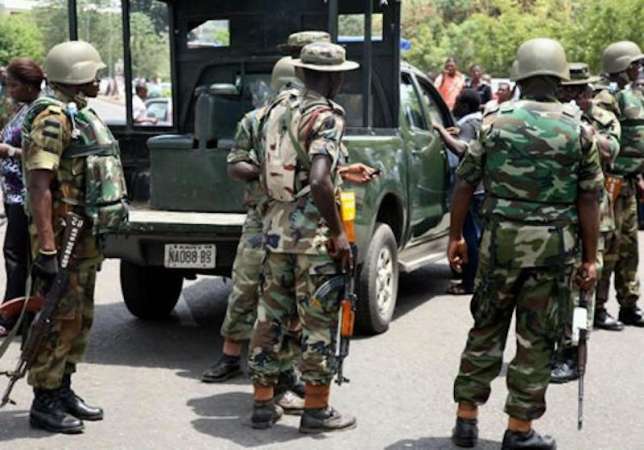 The South East Revival Group [SERG] has spoken on the reintroduction of the military exercise, otherwise known as Operation Python Dance III in Nigeria, particularly the Southeast region. He said, â€œWe are not unaware of the mixed reactions that have trailed the launch of the exercise at the various brigades across the country. Being a group that has been in the tick of the affairs in the southeast, which has hosted the earlier editions of Operation Python Dance, we are in position to offer a fair assessment and projection of what to expect from the nationwide exercise. The earlier versions of the operation held solely in the Igbo states of southeast as training exercises that dealt with incidental crimes. â€œIt is on record that these first and second versions of Operation Python Dance, which we know locally as Exercise Egwu Eke I and Exercise Egwu Eke II, were initially opposed by those that did not appreciate what was achievable. We can categorically state that after Exercise Egwu Eke I held with remarkable success, people were less critical of Exercise Egwu Eke II, which has made Operation Python Dance III record better reception than the two preceding editions. â€œOperation Python Dance I & II helped reduce incidents of armed robberies and banditry in the five Igbo states and their neighbours. Because the exercises were held towards the Yuletide season, towns and cities that use to come under siege of criminal elements practically celebrated the season with reduced crimes. The impact was such that our brethren in the Diaspora, who used to be wary of returning home are now able to not only visit home but also spend quality time with us. Because they are able to spend time at home without feeling threatened we are now beginning to see in them an appetite for investing at home, which was not the case before the initiation of Operation Python Dance. Had Operation Python Dance not held in our geo-political zone perhaps we would have today been in the same situation as the northwest geo-political zone where bandits are sowing terror in the hearts of the people. â€œCrimes thrive on the availability of illicit small arms and ammunition. Troops on Operation Python Dance have in the past been able to mop up the flow of illicit firearms, which has made it possible for other law enforcement organizations to have a more conducive environment to carry out their tasks. â€œThese past achievements of Operation Python Dance, particularly when they troops persistently observed the rules of engagement, have endeared the exercise to the people. We recall that there were demands from discerning groups and individuals in the southeast for the exercise to be made into an annual affair to ensure that the security situation does not degenerate badly again before there would be such stabilizing intervention. â€œOne gap we noticed in the past edition was the tendency for some criminals to flee across state borders into states not covered by the exercise, in the hope that they will return to resume their evil activities once it is over. This gap has now been plugged since Operation Python Dance III is nationwide. The implication is that criminals will have no hiding place as they can only flee one state where the operation is taking place into another state where it is also taking place. â€œWe particularly laud the Nigerian Army and the Chief of Army Staff (COAS), Lt. General Tukur Buratai for expanding the operation to cover the entire country. We further laud the Army and COAS for not excluding the southeast from the third edition on account that the geo-political zone had enjoyed two previous editions of the exercise. We are certain that the current exercise will consolidate on the gains of Exercise Egwu Eke I and Exercise Egwu Eke II while spreading similar benefit across the country. â€œIPoB and some other separatist groups have been threatening that they will not allow citizens to vote in the southeast. Operation Python Dance should help ensure that members of the designated terror organization or any other organization do deprive voters in the southeast, especially in Ebonyi and Abia states, that IPoB has particularly singled out for disruption as contained in a statement it issued. â€œTroops should continue mopping up illicit small arms since there has been a pattern of upsurge in crimes related to these firearms in the aftermath of elections. We understand that some unscrupulous politicians usually distribute arms to youths, which they then divert into commission crimes once elections are over since the politicians are unable to retrieve same from them. The Army should please ensure that such weapons are not used during the elections and certainly not used after the elections.